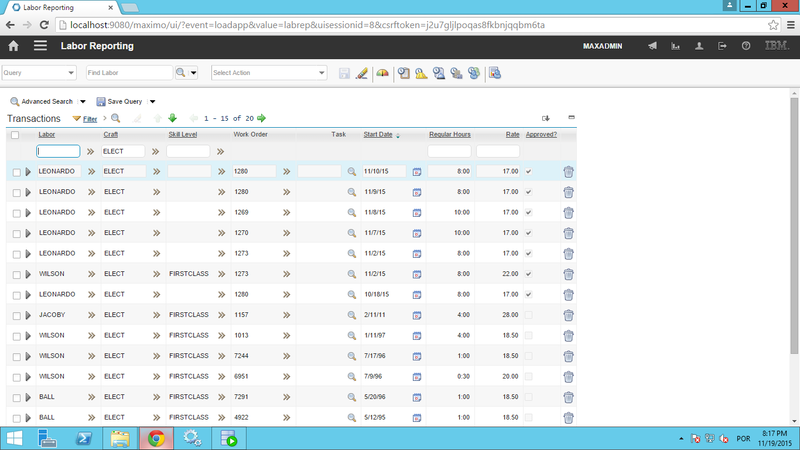 From Maximo 7.1 on it is possible to use conditional UI properties to manipulate screen elements. I will show you how to change some properties of a text field based on a condition. In this example, the field PERSON.DEPARTMENT will change its label, colors and input mode based on Job Code value (PERSON.JOBCODE) from People application. If the Job Code has any other value, the PERSON.DEPARTMENT field must be blue with white value and label changed to “Company”, also with input mode set as required. 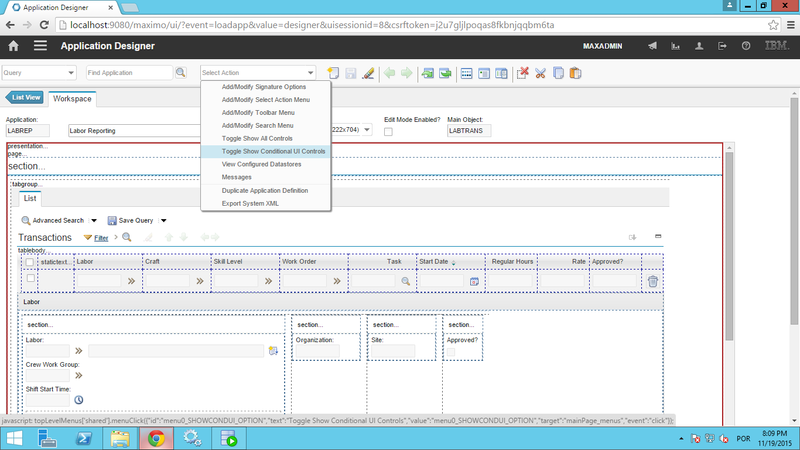 First thing is to create a new Condition in “Conditional Expression Manager” application. This is self explanatory (if not then ask me). Now, in application designer, open PERSON app and select the PERSON.DEPARTMENT field. I am using READ as signature option for this example, but you should create your own, because the UI rule is replicated to other elements using the same Signature. To create a new Signature Option, you can easily do it through select action. Select the Security group (or groups) that the rule will apply. Next, select the condition previously created. In our case “1002”. cssclass is used to define the color of the button’s background and its value (use a blank space between the values). inputmode to set the field as required and label changes the field display title. This small piece of knowledge useful might be. If it is not, then my time I wasted, young padawan. 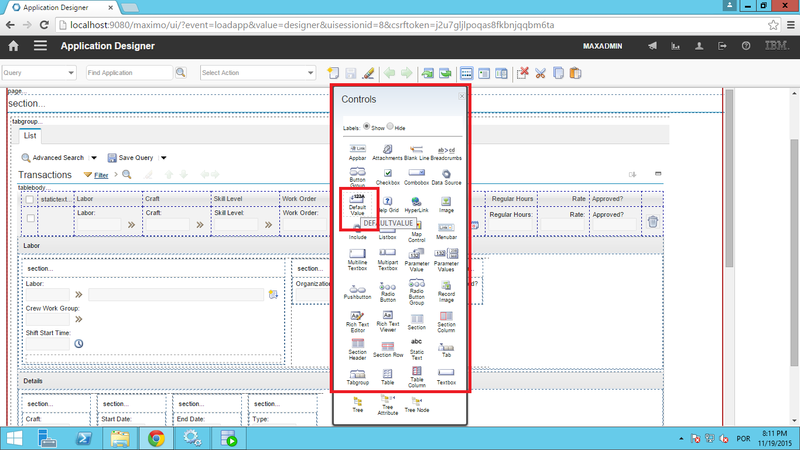 Did you know that it is possible to set a default value for search fields in Maximo? There are two ways of doing it. The first way is through a Java Class, but the easiest way is by using the application designer application. For this example, I will set a filter for “Labor Reporting” application. Now you will be able to see UI Controls. 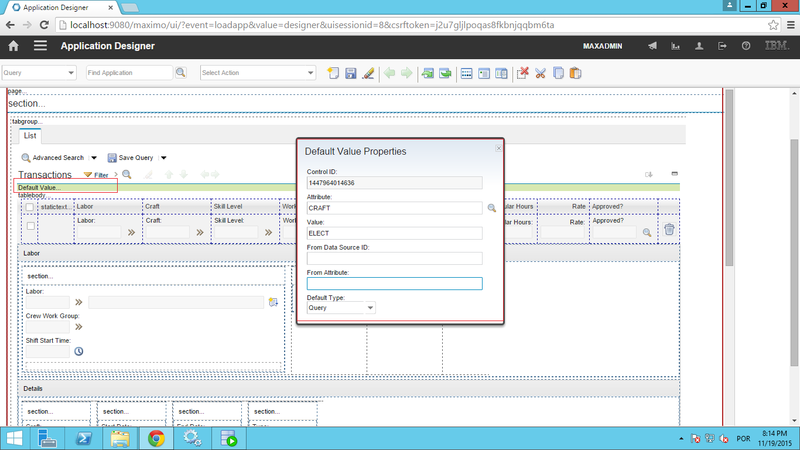 Next, drag the Default Value control and drop it over the field you need to add the filter value. Click on defaultvalue text and bring the control options window. Fill in the values as needed. You need the ATTRIBUTE, the VALUE and the DEFAULT TYPE set to “Query”. Check that the craft id field has “ELECT” as default value.